Ever wondered what would happen if you were to put a herd of mammoths up against an army of hunter-gatherers? What about Santa vs. Donald Trump? 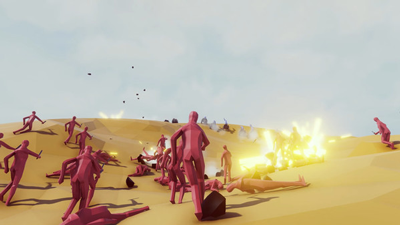 In Totally Accurate Battle Simulator, all of this and much, much more is made possible. And totally accurate! Additionally, all of this is available for free download now! 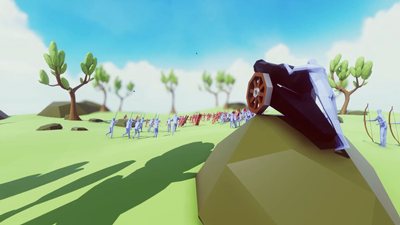 Totally Accurate Battle Simulator is a physics-based tactical simulator, where the silly and unexpected is… well, slightly more expected than usual. However, still totally accurate! Create entire armies to smash the opposing front lines from units dating back to medieval times all the way up until current day. In fact, see your soldiers conquer, or fly across the battlefield in defeat. Shields splinter as knights fight modern day soldiers. Similarly, canon balls fly into a wall of Wooly Mammoths. Nonetheless, The only real limit is your imagination. 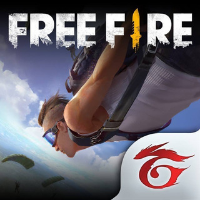 All of this is based around the unique physics engine created especially for the game, which, as you guessed, is also totally accurate. This wacky physics engine not only drives the game and is the basis for its existence, but it also adds a comedic element into the fray. Never before have ax-wielding barbarians flown across the sky with such fervor. Never before have wooly mammoths thrown each other to the heavens completely accidentally (and hilariously). With this game, Landfall Games has really provided something special. Many games rely on physics engines that fail spectacularly, but Landfall Games really embraces their engine and allows it to go crazy to great, comedic effect. It is one thing to try to make an accurate game and fail, but to create suhttps://twitter.com/LandfallGames?lang=ench a silly masterpiece as TABS took legitimate effort. 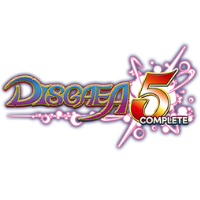 Even down to the choice of units, the game embraces it’s silly side to great effect. Spears fly into the frontlines of your enemy, which just so happens to be an entire army of Donald Trumps who are all stuck behind huge rocks in their attempt to advance up the battlefield. 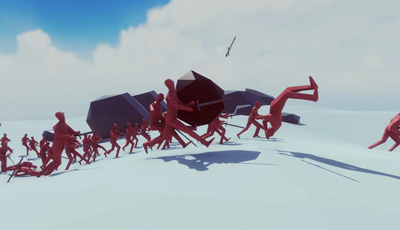 Sure, Totally Accurate Battle Simulator might not be totally accurate, but it is an amazing amount of fun. 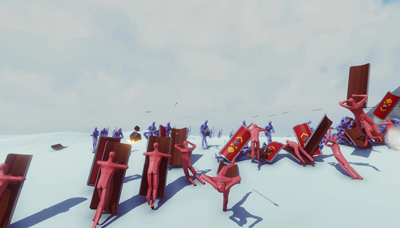 It is a game that allows you to flex your comedic muscles as you line up armies of the silliest possible units up to fight each other to the death. 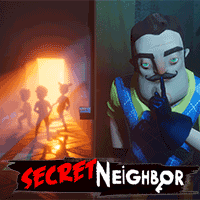 And, with the alpha version of the game available now for free download, you have nothing to lose with this amazingly silly and totally accurate game. 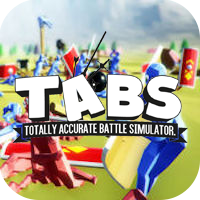 What do you think of Totally Accurate Battle Simulator? Have a question or comment? Leave a comment below.